What would you give to stop the war? To free nature? To end prohibition? For just .33 cents per day, YOU can make a difference. Please join the fight by making a $10 monthly contribution! Our work is made possible by the generous support of donors and activists. The work we’ve done and what we have achieved so far has been remarkable. 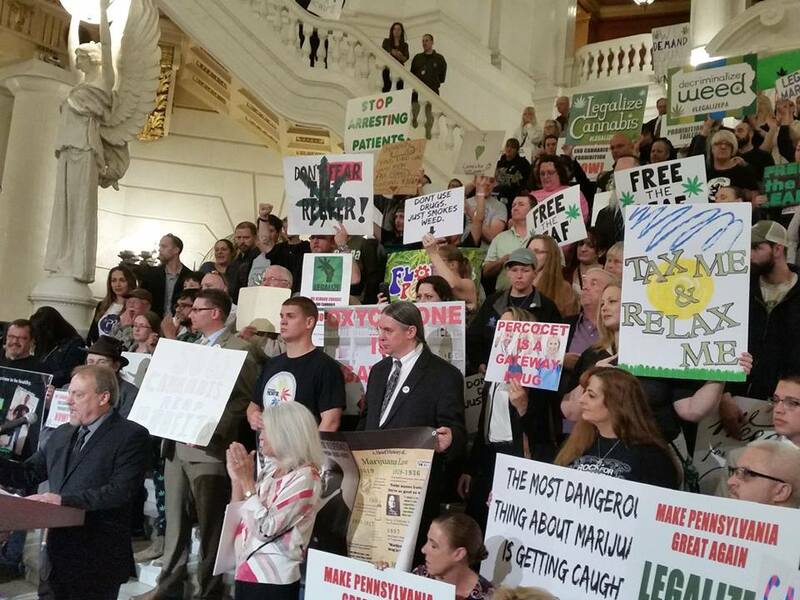 We’ve hosted numerous rallies and events across the state, kept media attention on the issue all year round and were able to help catapult this issue into the highest realms of political consideration. We’ve worked with city councils and had resolutions passed as well as resolutions from farm organization. But our proudest accomplishment to date has been our successful lobbying to get hemp legislation introduced into both the Senate and House and getting hearings on those bills. For Keystone Cannabis Coalition to remain a reality money must be raised to continue this important work. We will continue to lobby and rally in cities across the state, while working with other individuals and groups who are also doing good and important work around the state. Thank you for your support. Without the funding of good people such as yourselves, our work would fail and come to nothing. Thank you for your donations and for helping to advance OUR cause. We will never stop fighting until we achieve VICTORY!